Viknesh Vijayenthiran March 27, 2015 Comment Now! Update: The vehicle has been unveiled as a Montero Sport and is not due in the United States. Click here for more details. It was at the 2013 Tokyo Motor Show where Mitsubishi presented three concept cars all previewing future production models. One of these was a concept called the “GC-PHEV” (shown below), which Mitsubishi presented again at the Chicago Auto Show just last month. 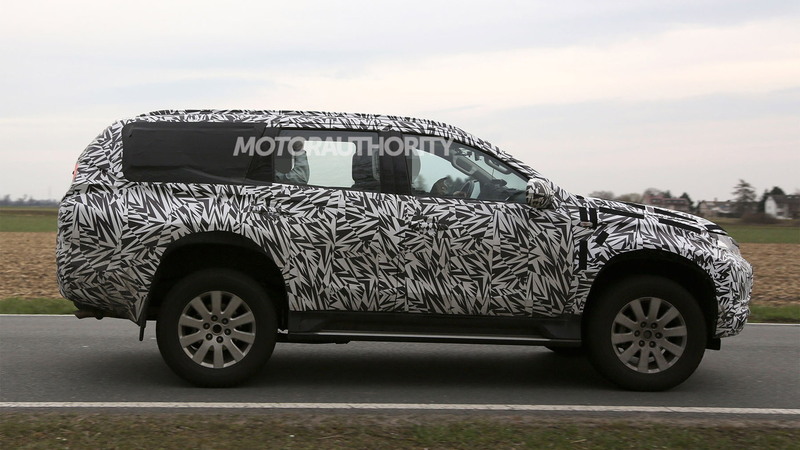 The vehicle was hyped as “the return of a legend,” leading many to believe that the eventual production version will end up reviving the Montero name. 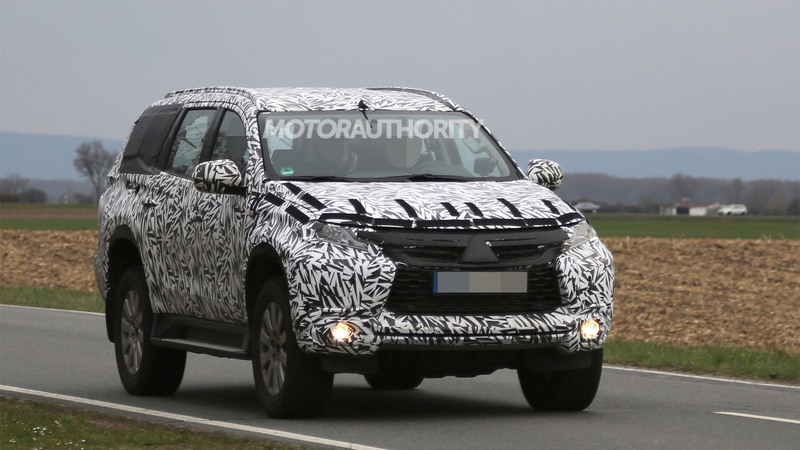 We now have our first spy shots of that production version, which we expect to be revealed next year, as a 2017 model. Though heavily camouflaged, the vehicle’s proportions align closely with those of the wildly-styled GC-PHEV. Some of the finer elements we can make out include the shape of the grille, wheel arches and tailgate. It’s not clear what powertrain is fitted to the vehicle though it’s possible we’ll see a plug-in hybrid setup similar to the one previewed in the GC-PHEV. The setup, which provided full-time four-wheel drive, consisted of a supercharged 3.0-liter V-6, an electric motor, an eight-speed automatic transmission, and a lithium-ion battery pack. Mitsubishi quoted combined power output at 335 horsepower, and an electric range of more than 25 miles for the system, although that's likely on the gentle Japanese test cycle—a U.S. number would likely be 25-30 percent lower. The original Mitsubishi Montero, sold here through the 2006 model year, attracted a strong cult-like following among off-road enthusiasts and others who appreciated its rugged design. 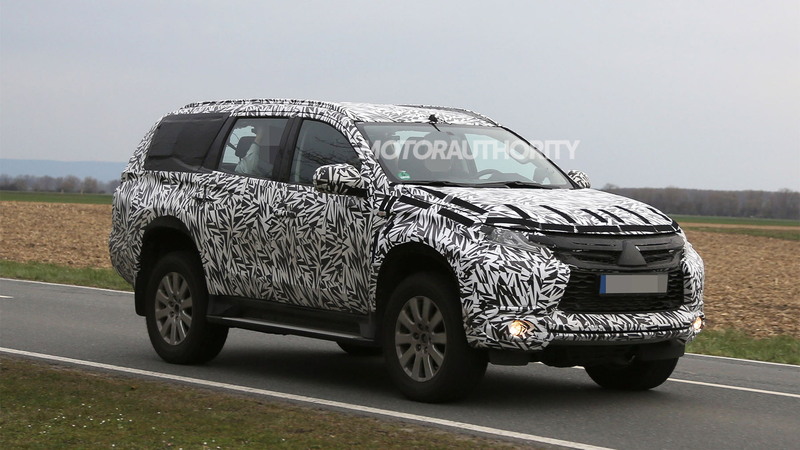 While Mitsubishi’s new full-size SUV looks to be taking a more on-road path, it should still be fully capable off the road. Buyers with larger families are also likely to appreciate the vehicle’s third-row seating. 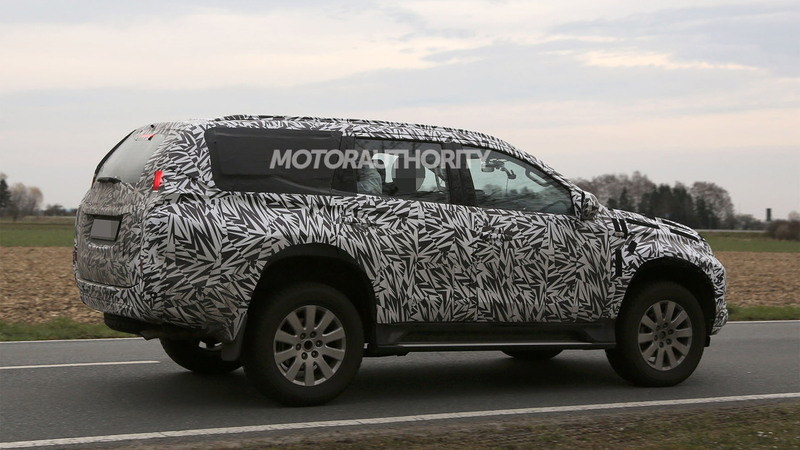 As mentioned, the new SUV should make its debut next year. 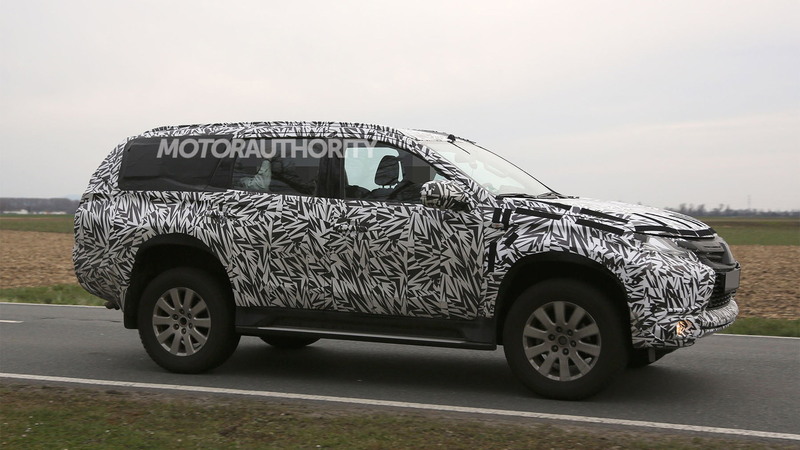 While the Montero name is likely for the U.S. market, elsewhere Mitsubishi may go with Pajero. Other new high-riding models coming from the Japanese automaker include an updated Outlander in the mid-size category and an all-new Outlander Sport in the small category.